Viva Bahrain, a top telecom provider, and Huawei, a global ICT solutions company, have signed a system and network transformation contract to upgrade Menatelecom’s network infrastructure. This contract comes after Viva Bahrain completed its recent acquisition of Menatelecom in January, said a statement. As per the agreement, Viva and Huawei aim to substantially enhance Menatelecom’s customer experience by upgrading all elements of its network. The project is expected to be completed over a span of six months and will cover Core, RAN, transport network and IT infrastructure. The project will include investments in a series of network expansions for both Menatelecom and Viva in order to maintain focus on improving the home user’s experience and introducing the latest wireless radio technologies as part of Viva’s 5G readiness strategy, it added. Furthermore, Viva also aims to elevate its own voice users’ experience by deploying various upgrades to its Voice over LTE technology. 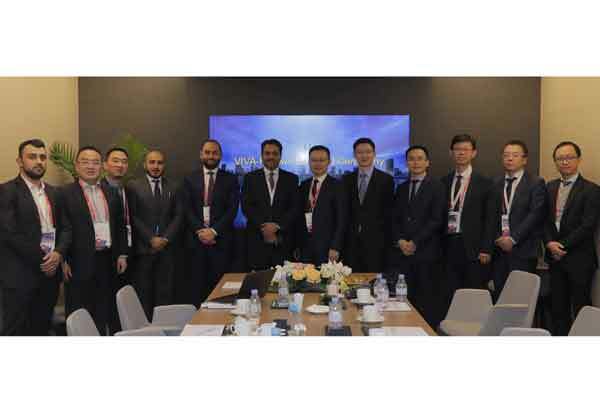 “The partnership with Huawei will enable us to accelerate ours and as well as Menatelecom’s network transformation and generate opportunities for deploying newer technologies in the kingdom,” he remarked. “This collaboration marks yet another key milestone for us in our journey to expand our footprint in the kingdom, provide best-in-class customer experience, and prepare to offer 5G services across the country,” he stated.